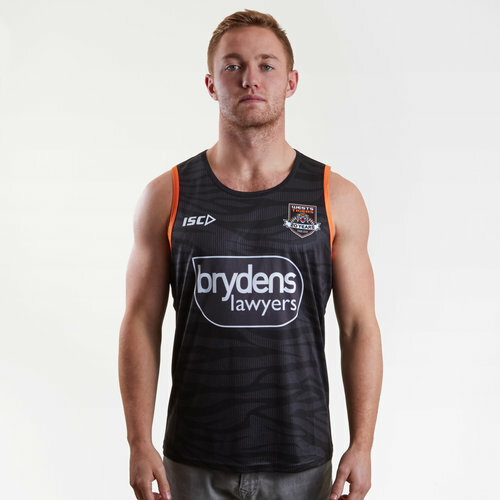 Fly the flag for the Tigers when you wear these West Tigers NRL 2019 Players Rugby Training Singlet from ISC. The West Tigers play their rugby in Austalia's premier rugby league competition, the National Rugby League NRL. 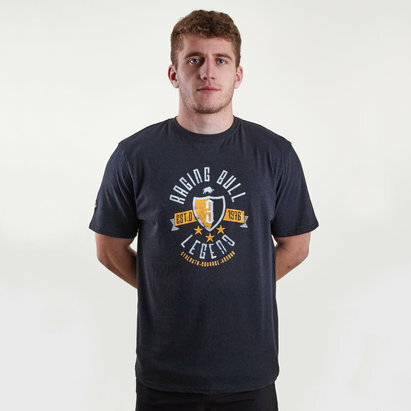 They have competed in the National Rugby League since being formed at the end of the 1999 NRL season as a joint-venture club between the Balmain Tigers and the Western Suburbs Magpies. It is one of only two clubs (the other being the Newcastle Knights) that has never lost a Grand Final in which it has participated. The club also won the World Sevens in 2004. The team finished 9th in the 2018 season so look to go further in 2019. 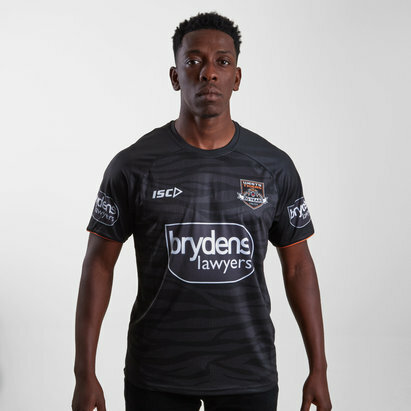 The uniform colours are a combination of the black and white of the Western Suburbs Magpies uniform and the black and gold from the Balmain Tigers uniform. Sticking with tradition this singlet is black with gold detailing. There is a sublimated design of tiger stripes. The ISC logo is on the right whilst the club badge is on the left.